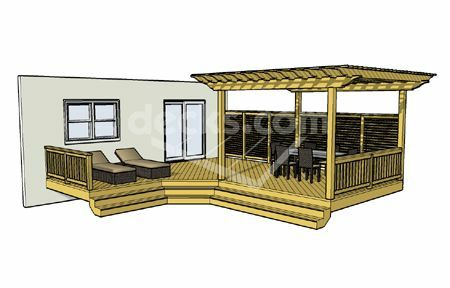 This L shaped deck runs 23' wide across the house and 24' deep. 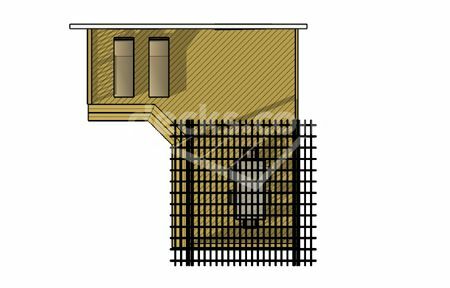 It features a unique 12' x 12' pergola, privacy wall, and a cascading staircase. This deck provides a lot of privacy. 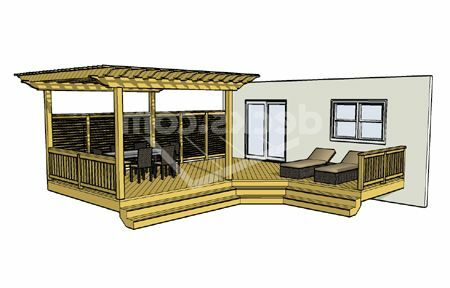 The pergola plans and details are included.